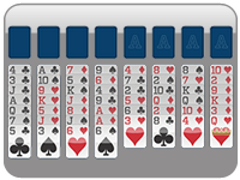 Make your freecell game day a bit easier with the variation of Eight Off Freecell. 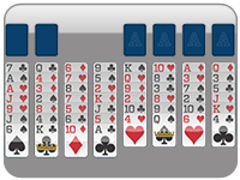 The game is played exactly the same as Classic Freecell, except you got lucky with eight open cells to play with! 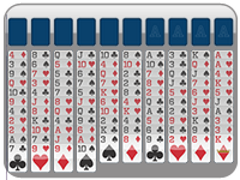 Eight columns of cards with only one deck means you'll have less cards to clear away during your Eight Off Freecell game. 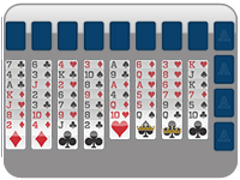 Place all the cards into the foundations based on suits. 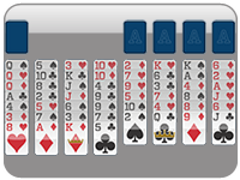 Complete all the foundations Ace to King to win 8 Off Freecell! 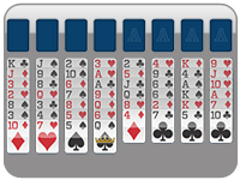 Eight Off Freecell is the perfect game for beginner players. 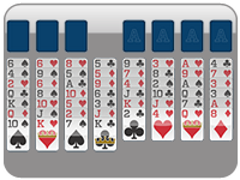 8 open cells makes classic freecell much easier.